We’re a little bit disappointed right now. Spending money on a truck which seems to break like eggs doesn’t make a lot of fun. 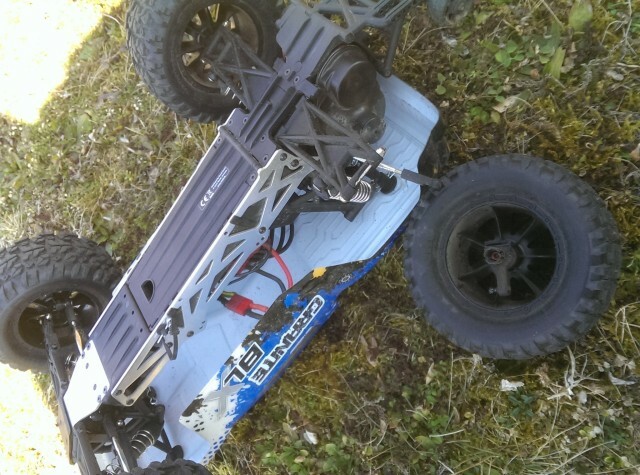 We drove the ARRMA Granite BLX on a quite flat gras surface for at least 15 minutes. 10 minutes on 2S and 5 minutes on 3S. We didn’t jump the truck a lot there because there are not that many possibilities to do so. Unfortunately the truck just broke again. 4th: while driving a straight line on 3S the rear hub broke again and the truck flipped and crashed. Yeah, we lost a dog bone too. We could fix the rear hub because we just purchased several sets of hubs but without a dog bone we can’t drive it. The truck starts to annoy us. Spending usually more than 300 bucks for a truck that needs to be fixed every single run, is not funny. 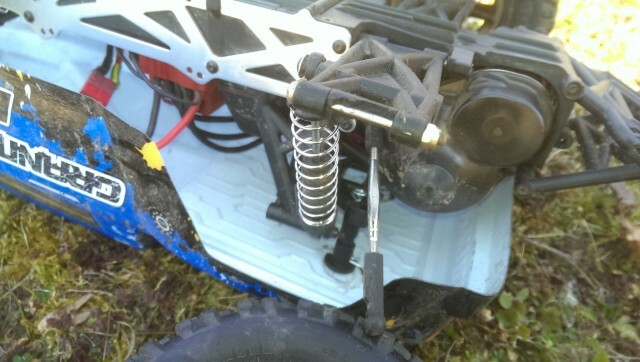 If we were new to RC we would have immediately stopped with the hobby days after we had started it. Now we need to spend at least another 10 bucks to get the truck runnin’ again!